Over 400 read­ers asked when we will see the third and final vol­ume of William Manchester’s Churchill biog­ra­phy, The Last Lion: Win­ston Spencer Churchill, Defend­er of the Realm 1940-1965. Answer: Ama­zon was ship­ping copies as of mid-Octo­ber 2012—only twen­ty-four years since Vol­ume II! Mr. Reid kind­ly asked me to proof the man­u­script for Vol­ume III, as did Mr. Man­ches­ter for Vol­ume II. This will be good news to the many Man­ches­ter fans who have wait­ed for years. Paul Reid’s vol­ume is writ­ten in the Man­ches­ter style, as dra­mat­ic and grip­ping as the first two vol­umes. Read com­ments below for more details. Reid’s nar­ra­tive skills are obvi­ous. At his best he is suc­cinct and enlight­en­ing; at his less than best, he ram­bles on about details that mat­ter lit­tle to the big pic­ture. Does nam­ing British reg­i­ments (the King’s this or the Queen’s that or, even sil­li­er, the 2nd Sher­wood Foresters or var­i­ous Hus­sars) real­ly mat­ter? Nazi reac­tions are exag­ger­at­ed. Josef Goebbels’ diary seems quot­ed almost as often as Churchill’s war mem­oirs. Bat­tle details are spelled out like case stud­ies at Sand­hurst or West Point. For the most part, this is a nar­ra­tive about the Sec­ond World War—with Win­ston Churchill play­ing the lead role—a war that always threat­ens to over­whelm the nar­ra­tive. Mar­tin Gilbert has already giv­en us a metic­u­lous, good-to-the-last-detail chronol­o­gy of Churchill dur­ing the Sec­ond World War (cit­ed less fre­quent­ly than I expect­ed). We have a sur­feit of broad sur­veys of the war viewed from the top. What does this book add? Paul Reid has not writ­ten a biog­ra­phy, but rather an old-style “life & times” nar­ra­tive with guns and bul­lets, polit­i­cal con­niv­ing, oft-repeat­ed (but worth repeat­ing) anec­dotes, love­ly touch­es of the per­son­al, and the most impor­tant asset—a hero. It is a nice cruise down a rather lengthy riv­er that you’ve sailed before. There is noth­ing new or excit­ing; it is reas­sur­ing rather than chal­leng­ing. Still, it is a love­ly and lit­er­ate view of famil­iar ter­ri­to­ry that mas­sages old sto­ries, nur­tures leg­ends, and points gen­tly to mis­cal­cu­la­tions and mis­takes of the hero—who flawed though he was, remains is a hero. Reid chose, or was forced, to pre­tend igno­rance of the dogged efforts of a mul­ti­tude of aca­d­e­mics who, in the last four decades, pushed for­ward the fron­tiers of schol­ar­ship and intel­lec­tu­al inquiry into the his­to­ry of the Sec­ond World War. Not only is his his­tor­i­cal iso­la­tion­ism rude; it is a shame, par­tic­u­lar­ly since he is a superb writer. He makes a famil­iar his­to­ry come alive, though you’ll have to man­age a huge car­go of extra­ne­ous mate­r­i­al in a book this long (with strik­ing­ly nar­row mar­gins) that takes Churchill only from 1940 until his death. Thank you to Paul Reid for syn­the­siz­ing the research of William Man­ches­ter and cre­at­ing a com­pelling read. If, in future edi­tions, he could show areas of con­flict and crit­i­cal moments writ­ten of but not reflect­ed on the maps. For exam­ple, include Yal­ta on the map show­ing the Black Sea. robert laf­font trans­lat­ed the first two vol­umes so many years ago in french when asked they told me they wont trans­late third . no expa­na­tion giv­en but i did not ask why .. It has been trans­lat­ed into Russ­ian and Chi­nese, but so far not Ger­man or French. Thanks for your com­ments, relayed to the author. Hate to be the picky one but in every oth­er book I have read (which is a lot), the admi­ral respon­si­ble for abort­ing the Wake Island res­cue mis­sion in Decem­ber 1941 was Admi­ral Pye. The Last Lion cites Admi­ral Fletch­er as abort­ing this impor­tant mis­sion. I have nev­er read that any­where before. In fact, the oppo­site. I have read that Admi­ral Fletch­er was dis­gust­ed that he had to turn back. I sailed through the first 360 pages, lov­ing every page and mar­veling at the atten­tion to detail. Then, I got to the sec­tion on the pur­suit and sink­ing of the Bis­mar­ck. No men­tion of the gal­lant Sword­fish biplane attacks and the Sword­fish bomb that dis­abled the Bismarck’s poor­ly designed rud­der and left the big ship going in cir­cles. I don’t want to be too picky but the sto­ry of the sink­ing of the Bis­mar­ck has been wide­ly doc­u­ment­ed. This is a pret­ty big whiff to leave out the key role of the Sword­fish attacks. I am ecsta­t­ic!! Final­ly!! Thank you!!! I closed Defend­er of the Realm last night with a tremen­dous sense of sat­is­fac­tion and some regret that it had come to an end. Over­all I was huge­ly impressed with the work Paul Reid did, not least that he under­took and com­plet­ed the assign­ment at all. I have only a cou­ple of com­ments. In much of the book, espe­cial­ly I would say the last third, Churchill the man is absent. Man­ches­ter nev­er let him out of his sight, always com­ing back to the pri­vate man, no mat­ter what else was going on. Many times in Defend­er I very much missed this. I espe­cial­ly missed the sense of Clementine’s pres­ence through­out, and felt what was said about her was increas­ing­ly neg­a­tive. There were some typos and gram­mat­i­cal errors, yes, but these are real­ly inevitable in a book of this length, and didn’t both­er me. I did not find the final sec­tion per­func­to­ry. It seemed com­plete­ly ade­quate to me and was very mov­ing. Nor did I think Reid failed to impart an appre­ci­a­tion of Churchill’s life. It was clear through­out the book. I have already read the first two books twice and will return to the entire tril­o­gy when some time has gone by. After reread­ing Visions of Glo­ry and Alone in prepa­ra­tion, last night I sighed hap­pi­ly and opened Defend­er of the Realm at last. I have only read the Pre­am­ble so far, but it was like com­ing home. I am doing my best not to com­pare Reid with Man­ches­ter, but to grate­ful­ly accept and appre­ci­ate the pass­ing of the baton for what it is. It is won­der­ful to have the tale told. Many thanks for the sharp-eyed cor­rec­tions. I am for­ward­ing any received here­in to the author. I now have the book, eager­ly await­ed. As is my habit, I fre­quent­ly read biogra­phies out of order, so I start­ed with the years after WW II. My ini­tial impres­sion is that this is a bit rushed, but then per­haps to con­tin­ue the sto­ry Reid/Manchester would have had to expand on Churchill’s impact on oth­ers more amply than they do. The final pages seem a bit per­func­to­ry, and I missed a biographer’s appre­ci­a­tion of the mean­ing of this life. I was also dis­ap­point­ed to find a cou­ple of obvi­ous copy edit­ing errors. On p. 1022, Churchill is induct­ed to the Order of the Garter: “And so [he] became Sir Win­ston Churchill, K.B.” This should be K.G. On p. 1029, Churchill returns to Eng­land on the RMS Queen Eliz­a­beth, “chris­tened in 1938 in hon­or of the first Eliz­a­beth.” In fact, the lin­er was named for the queen’s moth­er, con­sort of George VI, not for Queen Eliz­a­beth I.
It’s his­to­ry in the most read­able fash­ion, though I wish there were more maps, esp. of the Far East. I’ve seen Mr. Reid on one TV inter­view. Does he plan to trav­el around for book sign­ings, if you know. I’ve sev­er­al copies which I’d like signed – a first for me – if that’s pos­si­ble. Thanks for main­tain­ing this blog for us watch­ers and wait­ers. “The lectern I already caught, will be cor­rect­ed in next print­ing (although mod­ern dic­tio­nar­ies allow podi­um but do not endorse it). “Rev­e­la­tion (sic) will be fixed. I’m up to page 262, and I’ve already caught some errors. Again on page 257, tech­ni­cal­ly Jan­u­ary 6, 1900 was in the nine­teenth cen­tu­ry, so refer­ring to Wag­gon Hill as, ” one of the first bat­tles of the twen­ti­eth cen­tu­ry,” is not cor­rect. More than half way through it and love the book. It is indeed the cher­ry on top of a tru­ly mag­nif­i­cent tril­o­gy on Win­ston S. Churchill. Thank you. I found the pho­to sec­tions. The dust cov­er pho­to is tru­ly ter­ri­ble. Why would any­body chosse it for the cov­er is beyond me. The book con­tains two 16-page pho­to sec­tions, but they are print­ed on reg­u­lar stock. You may not have found them yet. I received my copy yes­ter­day (and also down­loaded all three eBooks), and it is beau­ti­ful. I am won­der­ing, though, if you or any­one knows why there are no pho­tos in this book. Hap­py read­ing to all. 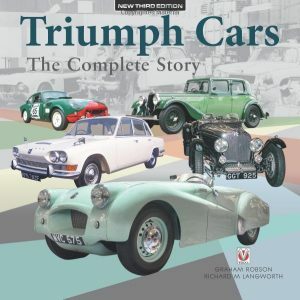 Any plans for an audio­book, like the first two vol­umes? will they trans­late it in french and span­ish …as they did for the first two. Start­ed read­ing this last night. HUGE book, I need a sup­port to hold it as I read it. . Too bad Lit­tle Brown decid­ed not to put into two vol­umes, as it is the pages are crammed to the edges. It’s too soon to review it in earnest, but I will say the first 100 pages are just bril­liant. Got my copy from Ama­zon ear­ly today as well! Can’t wait to read this long await­ed vol­ume. For some rea­son Ama­zon sent me my copy today, two weeks before D-Day. Thanks so much to Mr. Lang­worth for all the updates that have kept as all going until now! Just weeks away, yet still no reviews or excerpts to whet our appetites. Strange how this is fly­ing under the radar. An e-book is avail­able for pre-order on Ama­zon and Barnes & Nobel, pro­duced by Black­stone Audio, release date in Novem­ber. The author, Paul Reid, will be read­ing the pre­am­ble and author’s note. I am in the midst of lis­ten­ing to the audio ver­sion of Book II. Do you have any infor­ma­tion per­tain­ing to a release of the audio ver­sion of Book III? Won­der­ful news indeed. Thank you Messrs Reid and Lang­worth. Our annu­al lazy vaca­tion coin­cides with the release in Novem­ber. We will take vol­umes 1 and 2 with us to re-read and prep for vol­ume 3.
a big text . a big book . almost a quater cen­tu­ry of wwait …..
1232 is the cor­rect fig­ure, includ­ing source notes, index, author’s note, copy­right acknowl­edge­ments. About 1050 pages of text, but these num­bers may change slight­ly in the final pro­duc­tion process. The pub­lish­er, Lit­tle, Brown, now lists the book as over 1200 pages; it’s pret­ty huge. Lit­tle won­der that it took so long to com­plete. I’m sur­prised at how lit­tle ink I can find any­where ( print or cyber) regard­ing this long await­ed event. i,too, am anx­ious to read.have read oth­er two twice. As a lover of non fic­tion, I thought The Last Lion, vol­umes I and II were two of the finest books I ever read. When I saw that William Man­ches­ter was ail­ing and unable to fin­ish the tril­o­gy, I was deeply dis­ap­point­ed . Now I am thrilled to know it will final­ly be com­plet­ed. I can hard­ly wait, so I guess I will have to reread the first two again before Novem­ber. I have prob­a­bly read the first two vol­umes at least 6 times. They nev­er get old. Mr Man­ches­ter is my favorite author. Been wait­ing years for the third vol­ume. Thank you to all involved. I’m sure the book will be pub­lished in Britain, like the first two vol­umes. The dust­wrap­per has been redesigned and will not be uni­form, how­ev­er. Do you know if The Last Lion III will be pub­lished sep­a­rate­ly in Eng­land as the first two vol­umes were? Thanks a lot. I have a Nook, but this one I want to read in hard­back, to match the first two vol­umes. It’s been a long wait. 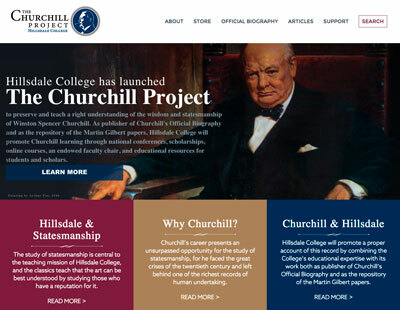 Recent­ly I read Churchill in Amer­i­ca and Franklin and Win­ston, both excel­lent. I’ve heard var­i­ous dates in Novem­ber. Is there a release date for the hard­back? Kin­dle Vols 1&2: This deci­sion isn’t made yet. My guess is that they will try a 3-vol­ume set after Vol 3 has run its course, and that will be the time when we see Kin­dle ver­sions of the ear­li­er vol­umes. The jack­et of “Defend­er” is not yet pic­tured but it is very hand­some and much nicer than the insipid jack­ets of Vols 1&2. The Ama­zon list­ing is erro­neous in cer­tain par­tic­u­lars. The book will be about 900 pages, not 1729. The list price of the hard­back will be $40, and the Kin­dle $19.99–the Ama­zon prices may change. John Lukacs’ “Five Days in Lon­don” is def­i­nite­ly worth read­ing; it per­fect­ly cap­tures the essence and emo­tion of that time. Two points: (1) Mr. Langworth’s reply to Scott, the lat­ter seek­ing to emu­late Churchill’s sup­pos­ed­ly “leisure­ly” life style, spot-on: Churchill extend­ed “sleep overs” with the Roosevelt’s at the White House, includ­ing the famous Christ­mas vis­it of 1941, always left the White House staff exhaust­ed, what with his work­ing the “late shift” typ­i­cal­ly to 2 or 3 a.m. (2), with Europe in 1940 sink­ing, in Churchill’s chill­ing­ly apt phrase from his June 18th “Finest Hour” speech, “into the abyss of a New Dark Age”, it seems only some­one with roots tapped deep into a pri­or Victorian/Edwardian age could react with a clar­i­ty of vision, strength of pur­pose, and will to car­ry on, regard­less. There would be no nego­ti­at­ing with Hitler. Churchill then, by not los­ing the war in May of 1940, gave the Allies the oppor­tu­ni­ty to win. No author cap­tures this real­i­ty bet­ter in my esti­ma­tion than a fel­low reac­tionary, John Lukacs. The Hun­gar­i­an-born, Eng­lish-edu­cat­ed, and Amer­i­can his­to­ri­an Lukacs devel­ops this theme in sev­er­al of his works, includ­ing The Duel (1991), Five Days in Lon­don (1999), and most recent­ly Blood, Toil, Tears and Sweat (2008). Any self-pro­fessed Anglophile would be well-served by read­ing (and enjoy­ing) Lukacs, while await­ing the final install­ment of the Man­ches­ter tril­o­gy. Accord­ing to Ama­zon, it clocks in at 1729 pages. Can this be right? I hope it’s true (the more Man­ches­ter the bet­ter), but I can’t imag­ine the phys­i­cal pro­por­tions of the book if it’s any­thing like my copy of the first two vol­umes. Would you hap­pen to know whether the first two vol­umes will also be released for the Kin­dle? James Powers–correct, the Kin­dle edi­tion is planned for Nov 1st. Then the Amazon/Kindle sale is cor­rect ? Kin­dle edi­tion is set for sale on 11/1/2012. 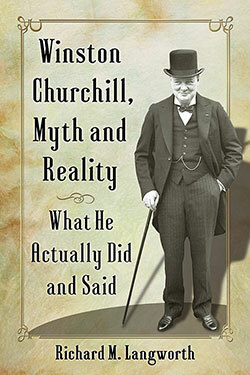 About Churchill’s drink­ing, see also “Forty Ways to look at Win­ston Churchill” by Gretchen Rubin, Chap­ter 21, page 136. Look­ing for­ward to V-III. Thanks for the progress reports. April 9th: Thanks to all for the kind words. I am com­plet­ing my read of “Defend­er of the Realm 1940-1965” and I can promise that the wait will be worth­while. With luck, maybe the end of 2012. Vis­i­tors here will be first to know. Trag­ic about his broth­er. They were both tak­en from us too soon. I was a neigh­bor of Robert Manchester,an attor­ney, who was William’s much younger broth­er. I got to know William when he came to vis­it his broth­er and came to appre­ci­ate his intel­lect and writ­ing abil­i­ty. I have read all of his books except for his ear­ly fic­tion work. I,too, have been eager­ly await­ing vol. 3. Robert was killed in an auto acci­dent two years ago . Back in the 90’s I would occa­sion­al ask Robert the sta­tus of the third vol. and he would tell me “Bill is work­ing hard on it but is such a per­fec­tion­ist that he is not sat­is­fied and keeps rewrit­ing por­tions.” Finally,William’s doc­tor advised him to take leave from writ­ing for a while which he did and appar­ent­ly nev­er could bring him­self to com­plete the work. Adding my com­ment of thanks for keep­ing us appraised on the new book. I am re-lis­ten­ing to the first 2 in audio for­mat in prepa­ra­tion for the 3rd and check here every 6 months or so to see the progress. I don’t know how quick­ly books pub­lished make it to audio, I’m guess­ing I won’t be able to wait. Dear Mr. Lang­worth, I’m search­ing the web as I do every so often for news about the release of Vol. III. Thanks for this web­site, for some rea­son I’ve missed it before! Thank you for your work and please add my encour­age­ment to Mr. Reid. We will wait as long as we need to, and like our hero, we will not give in (not up!) I do miss Mr. Man­ches­ter and his gift for writ­ing. Last time I saw Paul was at Charl­ston for a Churchill gath­er­ing in March of 2011. At that time he had no idea when the book would be done. Quite frankly I know his writ­ing style and it should be a good match to the oth­er two books. How­ev­er like the oth­ers I’m hav­ing a tough time wait­ing. Was Mr. Man­ches­ter try­ing to be fun­ny, or did he real­ly think that 9 drinks is not heavy drink­ing? Thanks much. Have read all Manchester’s books. I was dis­heart­ened when he died, as I was impa­tient­ly wait­ing for Vol­ume Three. I was under the impres­sion that it died with him. On dis­cov­er­ing today that his research and notes did not go to waste, I now eager­ly await Vol­ume Three. It will bring me joy and sat­is­fac­tion in my old age to read of the prime times and last days of one of my life-long ikons, Win­ston Churchill, and how he was a key ele­ment dur­ing World War Two. William Man­ches­ter was a superb researcher and writer. One devel­op­ment: I noticed that Ama­zon has put Defend­er of the Realm on their site for pre-order as being avail­able on 11.01.12. There seems to be some conu­sion, how­ev­er, with ear­li­er vol­umes (if you click on the hard­cov­er as opposed to the Kin­dle edi­tion it takes you to Vol 2 so per­haps its just a Kin­dle ver­sion of Vol 2?) so please take this with a grain of salt. Thanks for the kind words. Inci­den­tal­ly, William Man­ches­ter told me “Good­bye Dark­ness” was his favorite among his many books and, he thought, his best. Richard, Thanks much for the updates. My dad who was a WWII Marine in the PTO, rec­om­mend­ed Manchester’s Good­bye Dark­ness as the most real­is­tic descrip­tion of his expe­ri­ences and feel­ings. 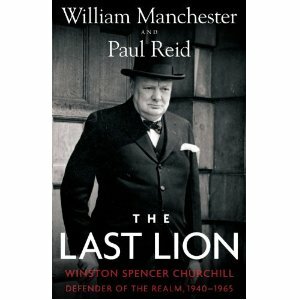 As I have com­plet­ed both vol­umes of The Last Lion and am cur­rent­ly in the mid­dle of Alone 1932-1940 again, I very much appre­ci­ate your com­ments on Paul Reid and Defend­er of the Realm, and the progress toward pub­li­ca­tion. Hope­ful­ly the release will be accom­pa­nied by the way of pub­lic­i­ty you men­tioned as it will be most deserv­ing, and I very much look for­ward to that day. Would any­one be inter­est­ed in giv­ing a clear (1-2 line) sum­ma­ry of Gilber vs Man­ches­ter writ­ing styles. It has been a long time since I have read them and I have just fin­ished lis­ten­ing to Roy Jenk­ins lat­est. I may just have to go and buy them and start over, but would not mind some guid­ance about where to start. I guess I read them as nov­els instead of as lit­er­a­ture and enjoyed them all with­out a crit­i­cal eye as it were. Thanks for shar­ing that Richard! The Gilbert books sound like some­thing I’d real­ly enjoy as well. I’ve nev­er read any of his works so they sound like good vol­umes to “break in” to his work in small­er bites. “Churchill: The Pow­er of Words” (May 2012) con­tains Sir Martin’s 100 favorite selec­tions of read­ings from Churchill’s works, some­thing he has nev­er giv­en us before. For more details see: http://bit.ly/slZJBu. “Wilder­ness Years” (Feb­ru­ary 2012) is a reprint of Sir Martin’s short (240 pp) book by the same title first pub­lished n 1982, at the time of the “Wilder­ness Years” TV doc­u­men­tary. Just want­ed to chime in with my thanks to Richard for keep­ing us apprised. I am heart­ened to hear that the progress con­tin­ues and that some­one of Richard’s exper­tise believes our patience will be reward­ed. I see that Mar­tin Gilbert has a cou­ple of vol­umes sched­uled for 2012. The first is called “Win­ston Churchill – The Wilder­ness Years: Speak­ing out Against Hitler in the Pre­lude to War” and the sec­ond is “Churchill: The Pow­er of Words” Any­thing you can share about these? just fin­ished vol 2 and 2012 can­not come soon enough! I used sev­en years to savor every deli­cious page of vol­umes first and sec­ond. I will glad­ly wait sev­en years to have the plea­sure of vol­ume three. I often felt that by the books I was a fre­quent din­ner com­pan­ion of Mr. Churchill. Will, you will not be dis­ap­point­ed. I am thor­ough­ly enjoy­ing the updates, and am curi­ous about your opin­ion of what you have read so far. How does “Defend­er of the Realm” match up to the oth­er two vol­umes so far? Does Paul Reid do a good job of cap­tur­ing Manchester’s voice? Many thanks. I have been wait­ing for the third vol­ume, mind you, just so I can go on dream­ing of how I would cre­ate a lifestyle that allows me to bathe until noon, with a glass of scotch (only one), read all the news­pa­pers and mail and then face the world. Please Mr Reid, make haste! Amaz­ing – the Man­ches­ter (soon to be) tril­o­gy on WSC has cap­ti­vat­ed me com­plete­ly. I am cur­rent­ly slog­ging my way through “Visions of Glo­ry” and have ordered a copy of the sec­ond vol­ume, hope­ful­ly to arrive before I fin­ish this one. I didn’t occur to me that the third vol­ume had nev­er been com­plet­ed until I began search­ing for a source for the third vol­ume. Read­ing the blogs on the immi­nent release of that vol­ume has me drool­ing already. Manchester’s style is at once frus­trat­ing and mas­ter­ful in its detail and has cap­tured the life and times of Churchill like no oth­er I have encoun­tered. His grit­ty and reveal­ng descrip­tion of the “The Great War” invokes noth­ing but revul­sion for the role of most politi­cians and gen­er­als in the con­duct of war. We only learn of the heroes who were dis­re­gard­ed after the dam­age has been done and we haven’t learned it yet. It’s inter­est­ing to note that the sec­ond Man­ches­ter Churchill vol­ume was just vot­ed one of the top 100 non-fic­tion books ever writ­ten by Time mag­a­zine. Wow, a cou­ple of whingers on here com­plain­ing about the time the book has tak­en to be com­plet­ed (and still count­ing, though it seems not for much longer). Can­not believe any­one would want such an impor­tant pub­li­ca­tion rushed. I for one am hap­py if it takes upwards of 6 or 7 years to com­plete (as it will almost be when it final­ly comes out) as long as it is done right and in the spir­it which Man­ches­ter intend­ed. Paul Reid sounds like he is on top of it and I am sure Man­ches­ter knew what he was doing when ask­ing him to take up the man­tle. Can’t wait for Vol III! I’m a young guy, read Vol II when I was about 24. Read Vol I after that…and have been eager­ly await­ing Vol III for a cou­ple of years now. I’ve since read a cou­ple of oth­er Churchill biogra­phies, includ­ing the one by Vir­ginia Cowles. Not bad, but it doesn’t com­pare to the depth that Man­ches­ter packs in. I’ve nev­er read so much detail that is also so excit­ing. Gilbert’s vol­ume 8 “Nev­er Despair” 1945-1965 is out of print but avail­able from after­mar­ket sell­ers via Ama­zon at this link: https://www.amazon.com/dp/0773721878/?tag=richmlang-20. Although Gilbert’s work is called the “offi­cial biog­ra­phy,” Gilbert has nev­er been told what or what not to include, nor has the Churchill fam­i­ly ever attempt­ed to influ­ence his writ­ing. Churchill’s own war mem­oirs were indeed cen­sored, not the least by Churchill him­self, who could not, for exam­ple, reveal the secrets of Bletch­ley Park’s decryp­tion of the Ger­man “Enig­ma” code at the time he wrote, it being an Offi­cial Secret until years lat­er. By the time Man­ches­ter wrote, much more was available—and still more is avail­able today. 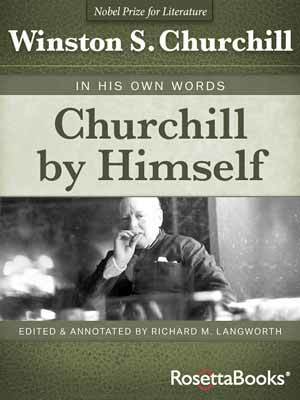 Gilbert’s one-vol­ume biog­ra­phy, Churchill: A Life, con­tains much mate­r­i­al not avail­able when he and Ran­dolph Churchill wrote the orig­i­nal eight vol­umes. Is Gilbert’s book, “Win­ston S. Churchill: Nev­er Despair, 1945-1965” at Amazon.com. What does “offi­cial” mean in this con­text? Churchill’s own The Sec­ond World War , for exam­ple, is great both as his­to­ry and lit­er­a­ture, but com­par­ing it with oth­er sources, such as Man­ches­ter, one gets the impres­sion that the truth is often heav­i­ly cen­sored. I’m glad Mr. Reid is giv­ing some space to the post­war years. I’ve enjoyed Bar­bara Leaming’s Churchill Defi­ant, but the post­war years are the era about which I know the least—by far. As painful as this wait is becom­ing, I would rather wait and get the full sto­ry than get a par­tial sto­ry tomor­row. The book to start with is Churchill’s six-vol­ume mem­oir, The Sec­ond World War. 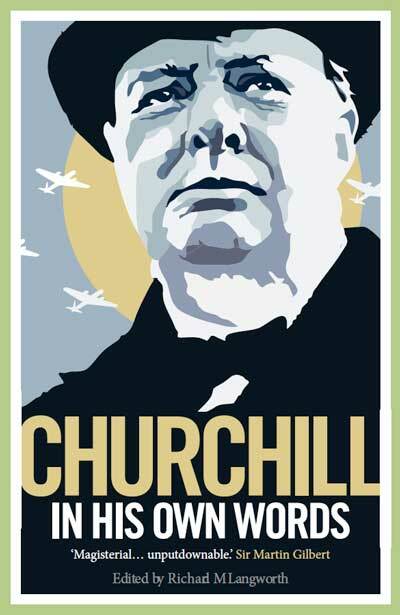 Next, try one of Geof­frey Best’s books, Churchill at War or Churchill: A Study in Great­ness. I also agree with the the late John Rams­den, who wrote that Paul Addison’s Churchill: The Unex­pect­ed Hero is quite the best “brief life” in print today. All these books are “fair and bal­anced,” and not giv­en to repeat­ing myths or old chest­nuts. Thank you for your updates about “Last Lion” Vol III. I am almost done with Vol I and have II on deck. 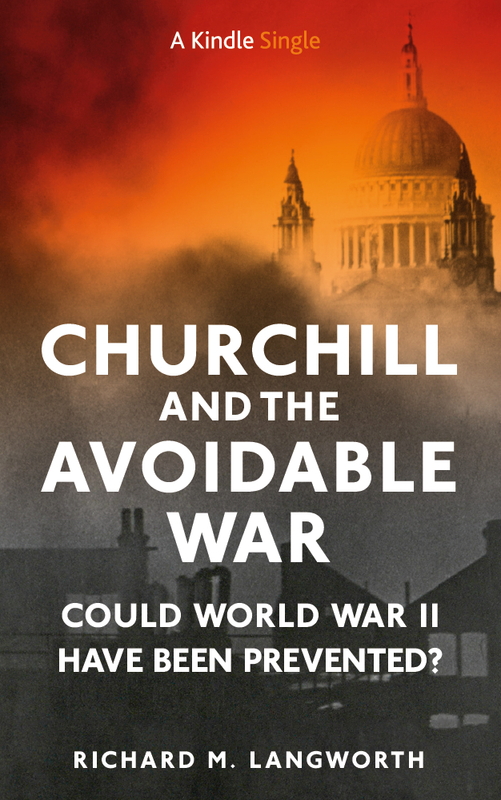 Are there any oth­er Churchill books you would rec­om­mend cov­er­ing the years of World War II as we wait for Vol III? I have been hop­ing for such a book since 1988. Churchill was one of more noble sons of the West and may well be the main rea­son that this post is not writ­ten in Ger­man. While check­ing on the sta­tus of Vol III I noticed a book on Ted Kennedy titled “Last Lion”. If that’s legal it cer­tain­ly is a reach, to say the least. I real­ly appre­ci­ate the updates. 2012 can’t come soon enough! How will the announce­ment be made as to the pub­lish­ing of the third vol­ume, please? I am so look­ing for­ward to read­ing it. Thank-you. 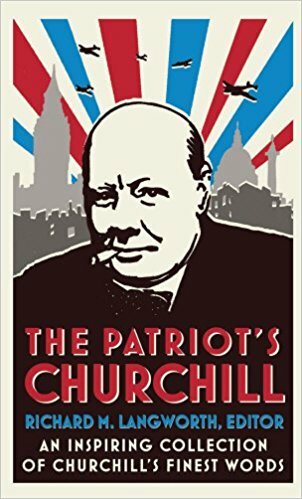 I have a rec­om­men­da­tion for some good read­ing in the mean­time: Bar­bara Leaming’s “Churchill Defi­ant: Fight­ing On 1945-1955.” Its unique per­son­al dimen­sion places her book well above the long array of potboilers—making it the most impor­tant sur­vey of Churchill’s last active decade since Antho­ny Seldon’s “Churchill’s Indi­an Sum­mer” thir­ty years ago. I am absolute­ly thrilled to hear that the third vol­ume will be pub­lished. I have just fin­ished the sec­ond vol­ume and have been eager­ly watch­ing for the next book to appear. I too am thirst­ing for Vol 3. I hope the under­stand­ing Man­ches­ter impart­ed to the first two vol­umes sur­vives. When­ev­er I feel a bit low about my life I reread sec­tions of Vol­ume Two. The sense of hope and inspi­ra­tion I get amazes me. It also sur­pris­es me how many speech­es from the 1930’s apply to our world in 2010. Please keep us apprised of progress towards pub­li­ca­tion. I am great­ly look­ing for­ward to this. I am cur­rent­ly read­ing Good­bye Dark­ness and enjoy­ing it, but hav­ing read the two pub­lished excerpts has whet­ted my hunger for this final vol­ume! Glad to hear there may be a light at the end of the tun­nel with regard to the third vol­ume of The Last Lion. I’ve been wait­ing with bat­ed breath for its com­ple­tion. A friend gave me the first two vol­umes of The Last Lion and I just fin­ished them. What an amaz­ing sto­ry of an amaz­ing man. It is almost as if Churchhill’s entire life was designed to deliv­er him as the only world leader who could stand up to Hitler. I read on Wikipedia that William Man­ches­ter passed away. So I thought this work would remain unfin­ished. I’m delight­ed to dis­cov­er that he appoint­ed anoth­er writer to deliv­er the final vol­ume and spent time direct­ing him on how he want­ed it writ­ten. Look­ing for­ward to its release in 2011. The Last Lion in just over a week, I too was keen to see what the score was for the third vol­ume. Even if it means wait­ing anoth­er year or so, it will be so worth­while. Man­ches­ter wrote like an angel!